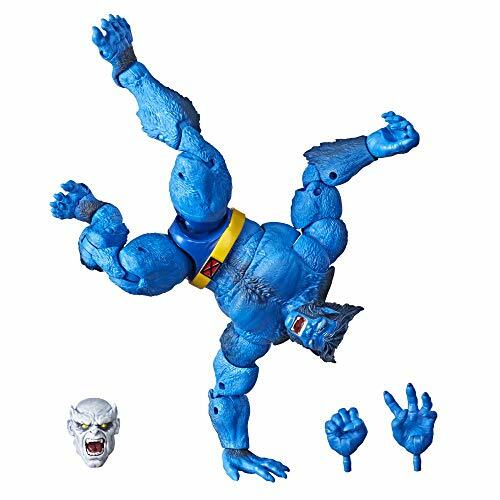 6-Inch-scale collectible Marvel beast figure - fans, collectors, and kids alike can enjoy this 6-inch-scale Marvel beast figure, inspired by the character from the Marvel X-Men Comics. Marvel comic-inspired design - Marvel beast fan figure with premium design, detail, and articulation for high pose ability and display in a Marvel collection. Premium articulation and detailing - the high quality, realistic, 6-inch legends series Marvel beast figure features multiple points of articulation and is a great addition to any action figure collection.